Before eating Paleo, we were “real food” eaters, following the guidelines and traditions of the Weston A. Price foundation and Nourishing Traditions cookbook. The use of lard was introduced to me as being healthy 3-4 years ago. Before that, you wouldn’t be able to convince me it was beneficial. 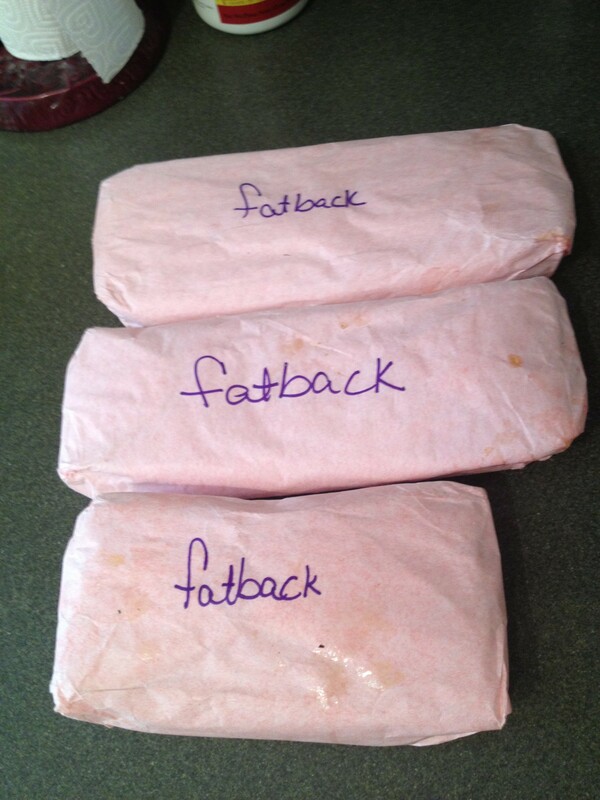 However, I am now a believer in pig fat and cow fat (tallow). Not only is lard the original shortening that our grandmothers used to use, but it is also very high in Vitamin D, and anyone who has had their vitamin D levels checked recently, can tell you that we all are lacking in this essential vitamin. 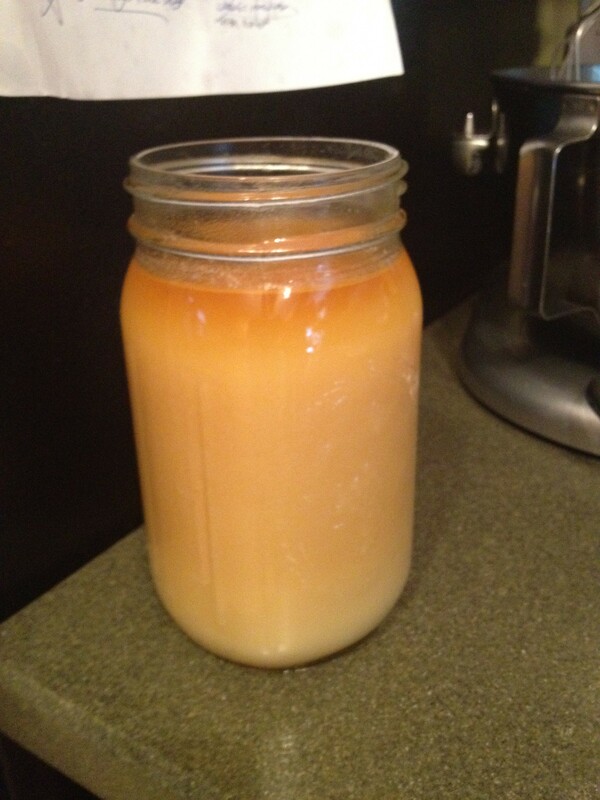 Good lard is only 40% SATURATED fat, with 48% MONOUNSATURATED and 12% POLYUNSATURATED fat. Another interesting point to make is that lard’s fatty-acid composition is very comparable to breast milk which is 48% SATURATED 35% MONOUNSATURATED and 10% POLYUNSATURATED. WE NEED SATURATED FAT IN OUR DIET: “It makes up over half of all cell membranes and gives cells stiffness and integrity. Bones require about 50% of the dietary fat to be saturated so calcium can be absorbed. SF lowers Lipoprotein-a in the blood, an inflammatory marker directly associated with the risk of heart disease. 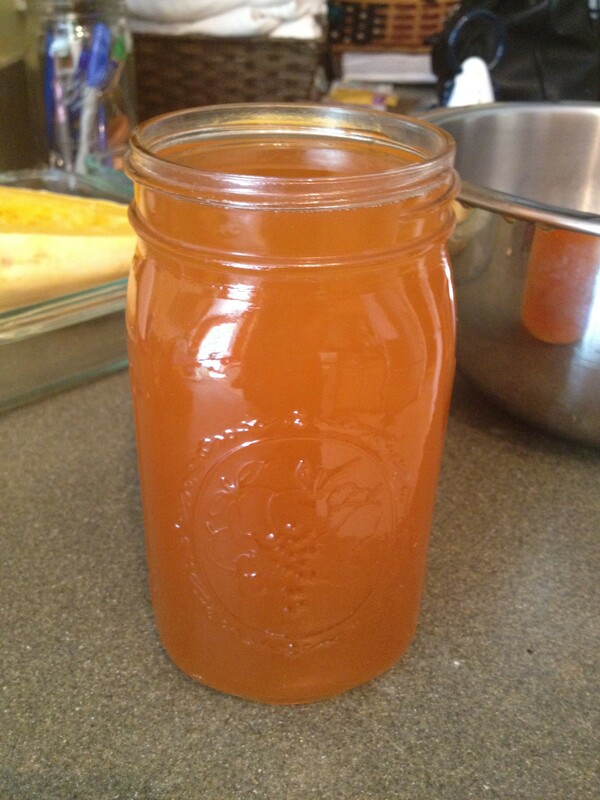 SF protects the liver from alcohol, toxins and drugs and they enhance the immune system. Omega 3 fats are retained in the tissue when the diet is rich in SF. Heart muscle contains rich deposits of stearic acid and palmitic fatty acids as they are foods the heart muscle uses and which are drawn upon in time of stress. Many SF have antimicrobial properties and protect us from harmful pathogens in the intestine. There is no scientific evidence to back up claims that SF causes “artery clogging” in fact arterial plaque is only 26% SF the rest unsaturated fat, over half of the plaque is polyunsaturated fat! WE NEED CHOLESTEROL- it is only found in animal fat. In spite of being falsely accused of being the cause of atherosclerosis, heart attack and stork, cholesterol is actually a necessary substance in every body. It is a strong anti-oxidant and free radical scavenger. This is why cholesterol levels go up as we get older since we need more protection. Cholesterol makes up a large portion of the brain, is the root of all corticosteroids and hormones in the body, it is the precursor to vitamin D. It keeps our skin soft and moist, and makes the bile which we need to digest fat. Mother’s breast milk is very high in it (which should tell us something!). Our bodies make over 2000mg daily whereas a maximum of only 100mg can be absorbed from the diet, so it’s pretty clear how shaky and wrong the connection of heart disease to dietary cholesterol intake. It is oxidative stress that causes cholesterol to elevate in the bloodstream in response to excessive free radicals. In the skin, uv light causes the production of free radicals, known carcinogens and aging factor, which damage the vital phospholipids of the skin unless the cholesterol is there in adequate supplies to protect it. Cholesterol is required for proper function of serotonin (the “feel good” brain chemical) such that low cholesterol levels are associated with aggression, violence, depression and suicidal tendencies. Cholesterol lowering drugs, especially the statins, are intrinsically toxic to the liver, they deplete CoQ10, an enzyme needed by all muscles by (note that the heart is a muscle), and ultimately leaves us dangerously exposed to oxidizers, free radicals and other damaging agents” (quoted from here). 1. First I pulled the frozen lard and chopped it into pieces. 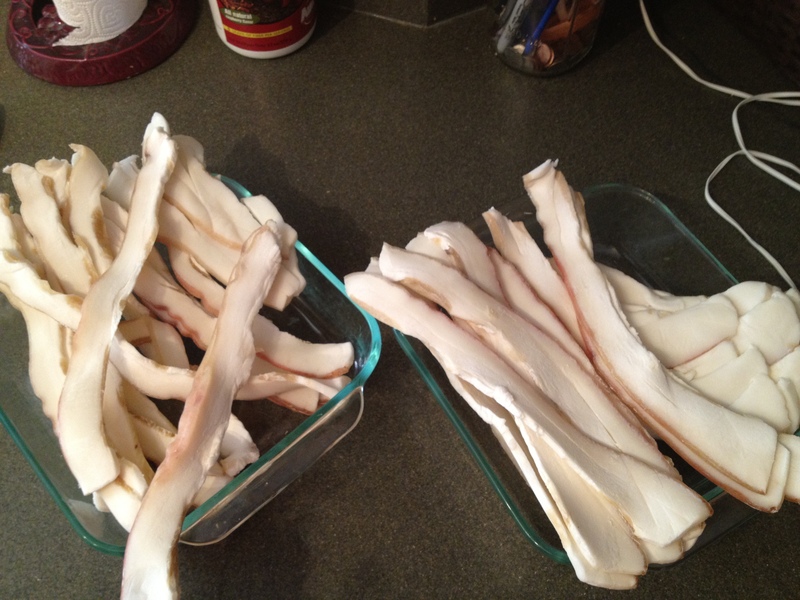 Pork fatback from local, pastured piggies. 2. 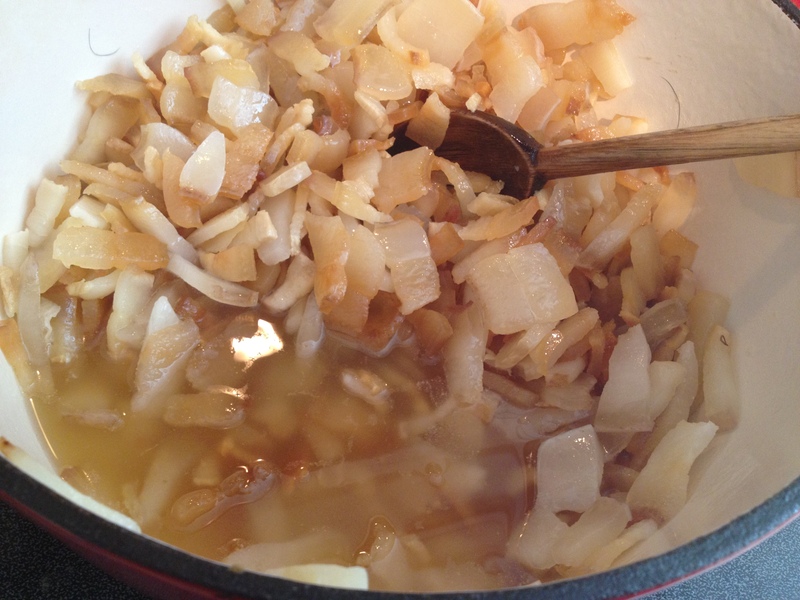 I used my dutch oven and put the chopped lard on my stove top and cooked it on medium-low heat. I stirred every few minutes until the big portion of the lard was cooked and melted. 3. This took about 20 minutes. 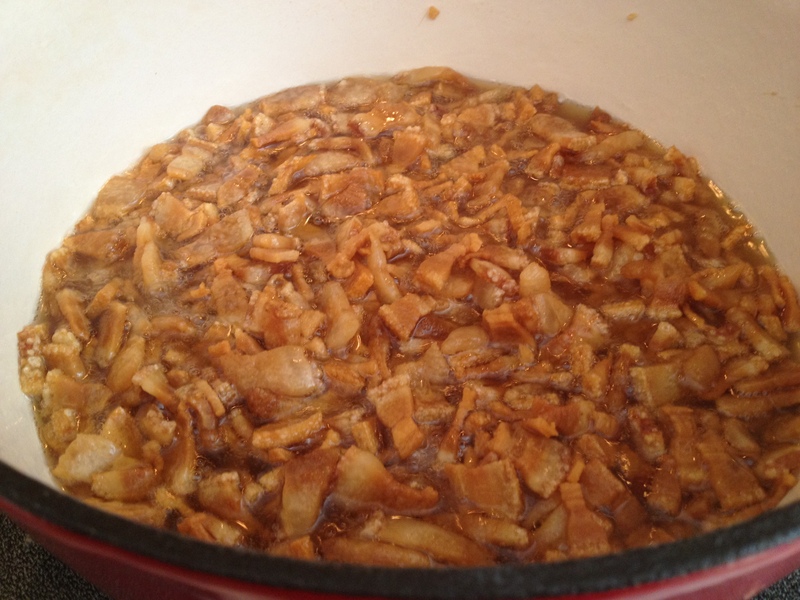 At about this point you will start to see the “cracklings” form. This is when everything starts spattering, so be careful. 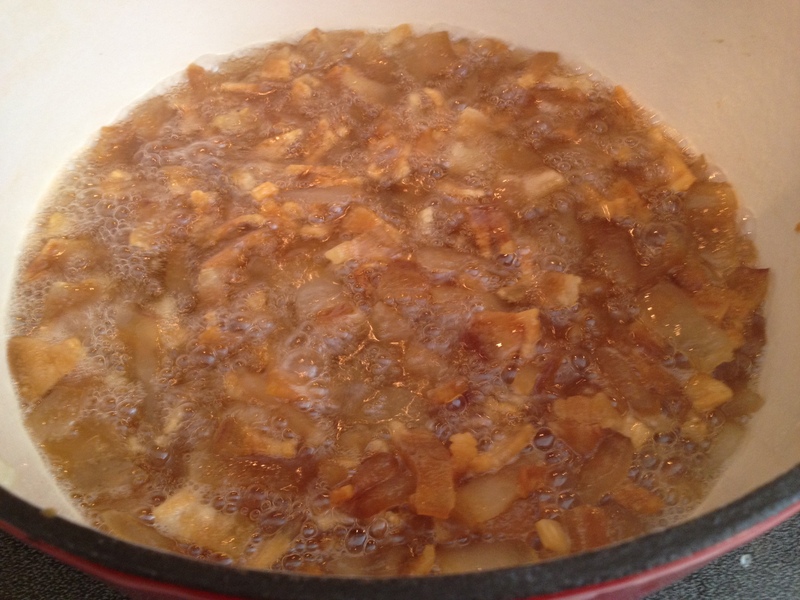 Once the cracklings are done splattering all over, they will begin to rise to the top of the bowl. This means you’re done! 4. 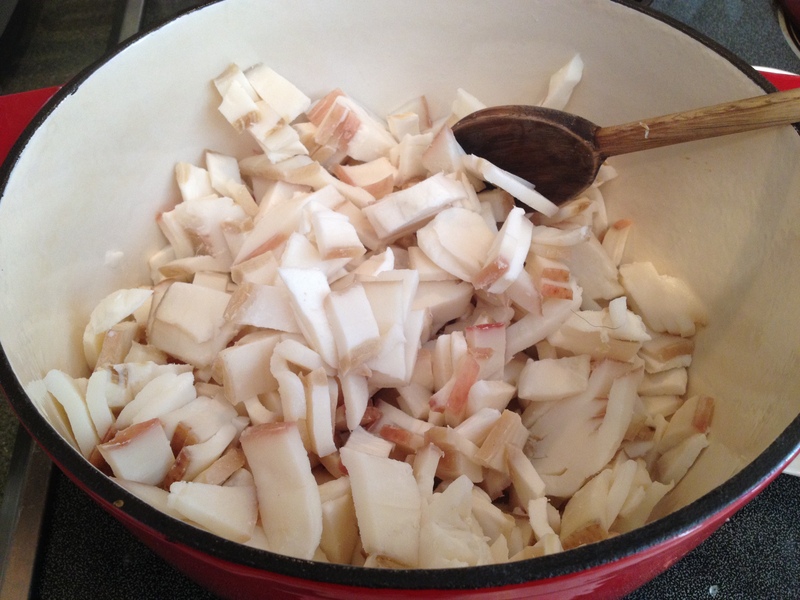 Next, I placed a colander over a bowl and poured my hot bowl of rendered lard into it. 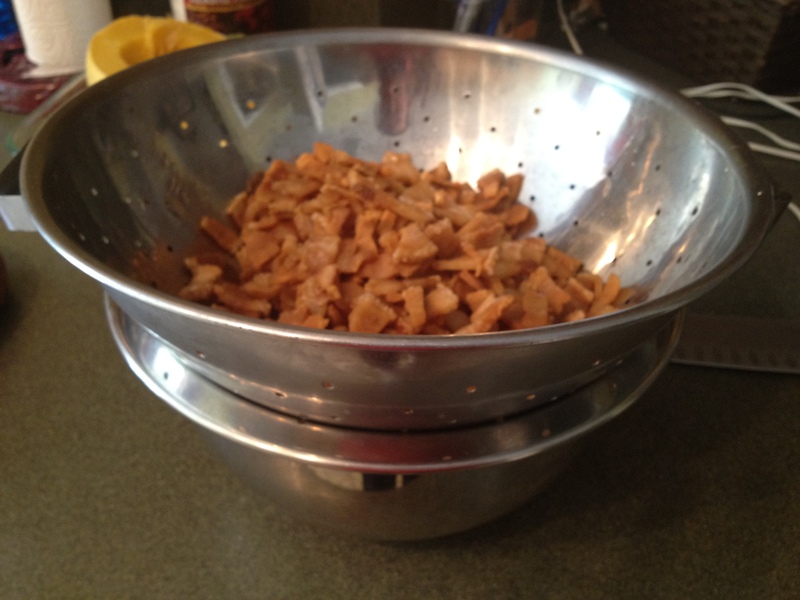 The cracklings were caught by the colander and the lard drained through into my bowl. 5. I transferred to a mason jar and admired my beautiful fat. 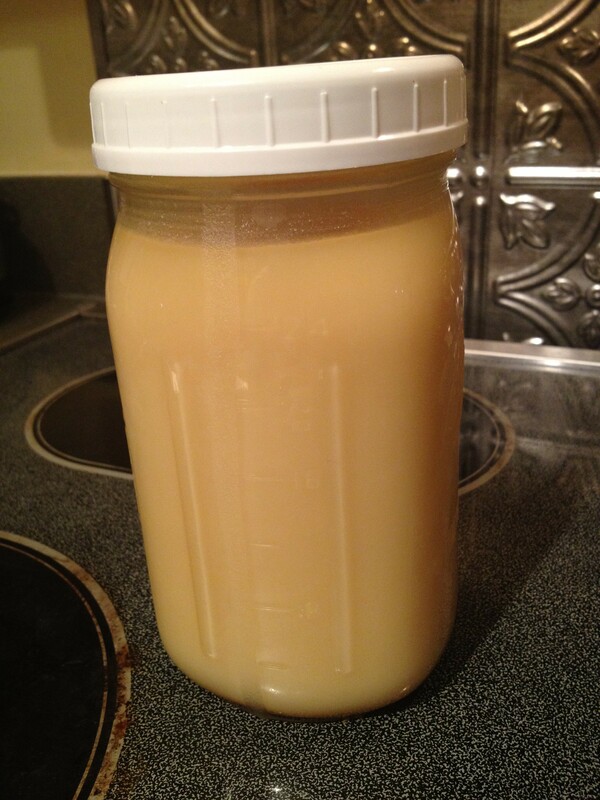 The lard was yellowish/brownish color when hot and turned a nice, smooth white color once it cooled! Cooling my lard. Picture taken a couple of hours after I put it in the mason jar. See how it’s changing colors! Still cooling and changing into a beautiful white color. Picture taken 12 hours after the whole process. These cracklings or pork rinds are delicious and a wonderful Paleo alternative to bread crumbs (all crunched up). My daughter couldn’t get enough!!! What do I do with my lard? I use it to fry homemade chicken nuggets. I use it in place of shortening in baking recipes. I use it to saute vegetables. ***I have also rendered tallow the same way and it turned out delicious! 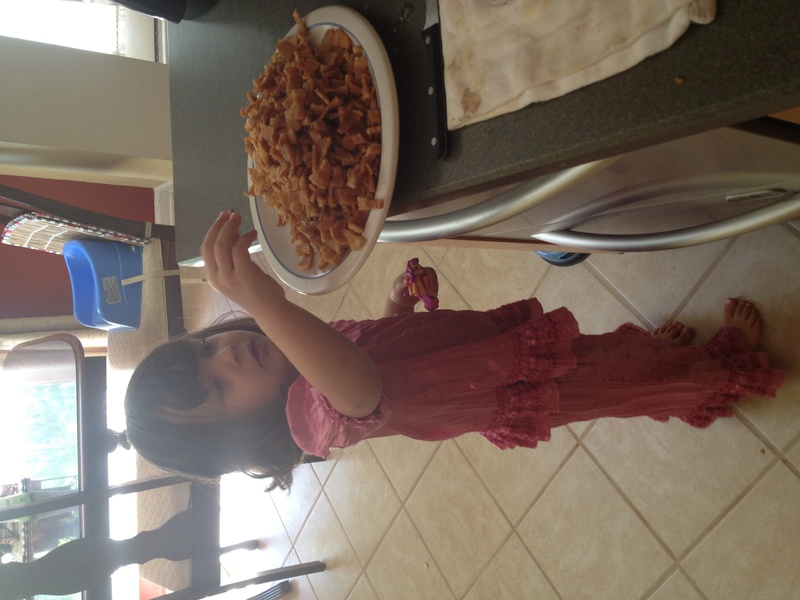 Hi, I'm Jackie Ritz and welcome to The Paleo Mama! I'm a published author, LMT, budding herbalist, and voracious researcher of natural medicine and nutrition. I'm glad you're here and I hope you stick around for awhile! Our RV is for Sale! Meal planning will help you pull together a delicious meal in no time at all! The Paleo Mama blog provides simple answers for healthier families through research, tutorials, recipes, and simple remedies for daily needs! You’ll get instant access to a library of natural remedies and real, paleo food, including our ebooks and free guides we send out.